In recent times, people have been taking a greater interest in their origins and ethnicity by exploring their past. Polish-Americans are no exception. Our Polish ancestors entered the Northeast portion of the United States in great numbers in the latter part of the 19th century up until World War II. The original immigrants settled principally in the region’s rapid developing industrial cities and towns. For this reason, thriving Polish communities flourished in such cities as New Britain and Bridgeport, Connecticut; Chicopee, Massachusetts; in the industrial areas of northern New Jersey; in the coal-mining regions of Pennsylvania, and in central and northern Rhode Island. Polish farmers purchased land in locations such as Hatfield and Hadley, Massachusetts and continued the agricultural traditions they had left behind. Today, as their descendants, we are striving to capture our past and preserve our Polish cultural heritage for the generations which will follow us. 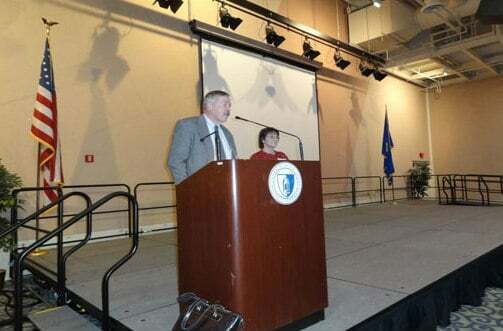 The Polish Genealogical Society of Connecticut and the Northeast, Inc. celebrated its 25th Anniversary in 2009. 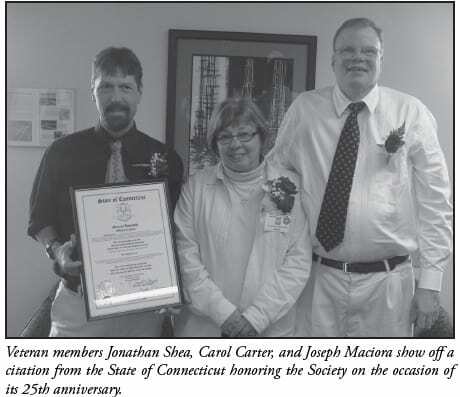 It was founded in 1984 by students enrolled in the Adult Education course on Polish Genealogy in New Britain, CT taught by Jonathan Shea. In that first year the first formal lectures were held. 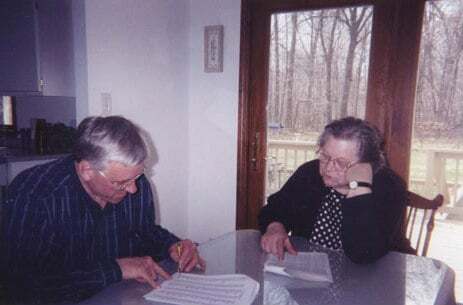 One was part of the Polish Studies Program at Central Connecticut State University in New Britain, and the other at Holy Family Parish in Pittsfield, Massachusetts. Both were well attended. At that time there were few organizations or resources to address these needs, and there was certainly no Internet! The only Polish genealogical organizations during that period were in Michigan, Texas, and Illinois. While they were helpful, they were not local to New England or the East Coast. 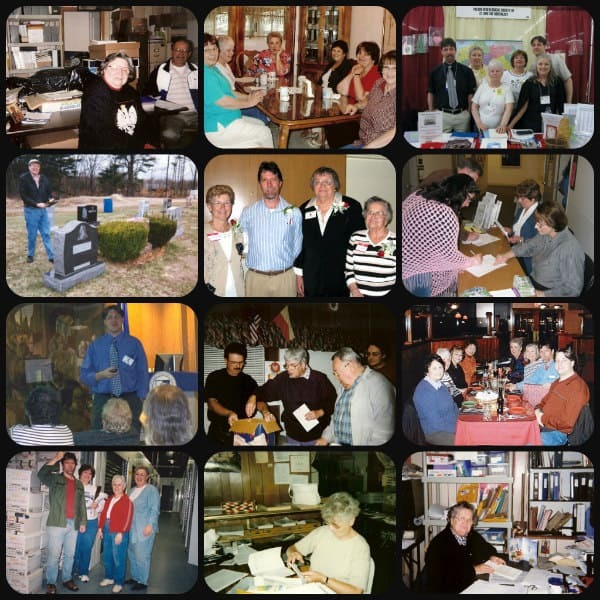 All that we have accomplished throughout the past quarter century has been due to the hard work of dedicated volunteers who share an interest in family history and in creating resources for use now and in the future. Our volunteers have not only spent many hours copying cemeteries and extracting documents but have also participated in many other ways large and small. We have past members, living and deceased, to thank for assisting in documenting the history and heritage of our collective family. We hope that new members will become actively involved in volunteer opportunities to continue their good work. The Society’s newsletter, Pathways and Passages, is published twice yearly, in the Winter and Summer. 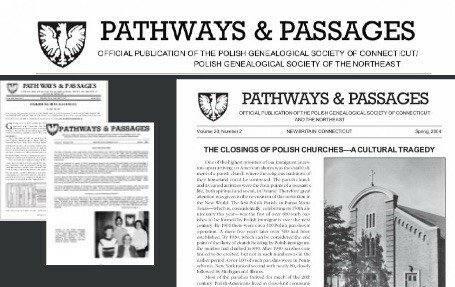 Each issue contains a wealth of information for those researching Polish ancestry, with an emphasis on the Northeast United States. Since 2001, we have hosted conferences dedicated to Polish Genealogy which have drawn speakers and attendees from around the world. They have grown in size and attendance over the years and have become a major showcase for the organization. 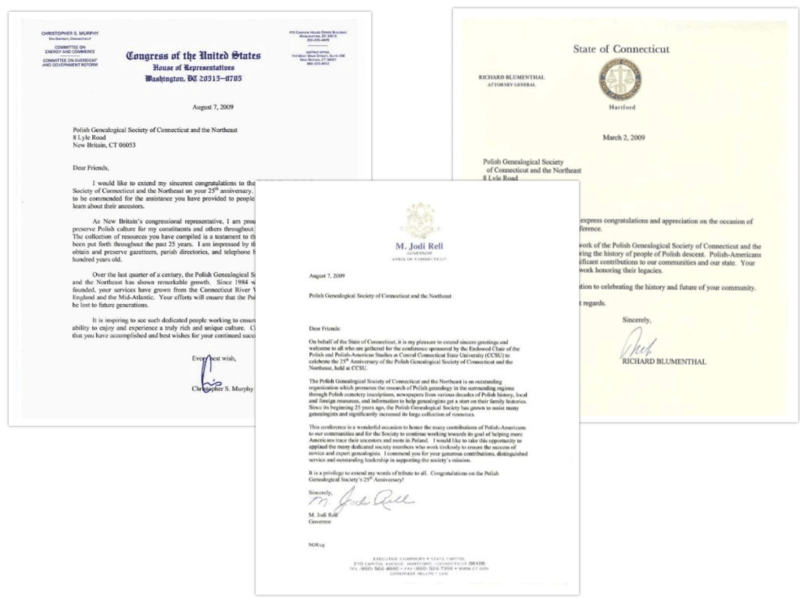 The partnership with Central Connecticut State University and the local community have made these truly unique events. The society has completed several major projects around indexing cemetery records, compiling Polish village records, collecting Polish telephone books and other Polish genealogical materials. We continue to document and publish new databases on Polish marriage records from Connecticut and the Northeast. Much of this information is not available online anywhere else.